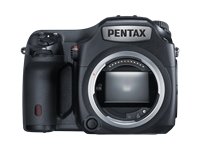 The program is offered with two coverage package options: the PENTAX Advantage Gold Service and PENTAX Advantage Platinum Service. The Gold Service covers a single 645Z camera for three years, offering a single free comprehensive cleaning and inspection for the camera body and lens and expedited priority repairs. The Gold Service package is priced at $849.95. The Platinum Service includes all the benefits of the Gold Service, as well as coverage for three 645Z digital lenses, a loaner camera body that is provided while the owner’s camera is in for repairs, up to three loaner lenses, and a High Performance Resin Case (HPRC) for the Pentax 645Z system. The Platinum Service package is priced at $1,599.95. 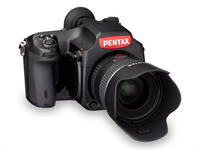 The new program is available now through Pentax dealers. This is somewhat useless if you live in the USA, where there is no Pentax presence of any kind to speak of. The 645z goes to another country for service. Seems like an undesirable situation for a professional needing quick turn around. Never a good sign when you have to sell such plans. There is no product sole in the entire universe that has a higher profit margin than insurance. Wow, Pentax has dealers ? Ricoh website search says "none" in US. email from Ricoh support said only B&H in NYC for 645Z. So that's "dealer" not 'dealers". This is the sypport that pros need. Good move! Considering the price of these cameras, the benefits of these programs should be built in. This just shows how bad current service is. But the 645Z is pretty cheap for a medium format. Nothing really comes close. Umm ??? Theyve had this for a while now, B&H has been selling this for the past year. Wow, the Sony Pro Imaging support program has the same benefits as platinum for only $100 a year. Yeah, but with Pentax, anyone can join. Canon has it for free - own two qualifying bodies and a couple of lenses (usually cheaper than a 645Z system) and you get unlimited membership for free, without having to be a pro. 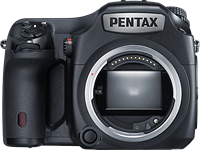 I'm a Pentaxuser and (light) fanboy, but these prices are ridiculous. Canon Professional Services and their support for users of their professional printers is superb. That said, Pentax prices are not out of line when compared to equivalent equipment cost and support from Hasselblad or Phase, their actual competitors in the medium format category. Yeah, if they offer something solid for their forthcoming full-frame, and K-3 II, that'd be great. I may be getting ahead of myself but it would really raise an eyebrow if Ricoh/Pentax announced service for the new FF camera at the same time they announced the camera. Hell of an announcement that would make. Value added right off the top. That would be brilliant. Very glad Pentax is now fully supporting professionals. They are starting to close the circle. I don't own it but it is in my plans to do so in the future. For the record, for the average Joe no $2500 FF camera makes sense either. But way to go Pentax! Depends where you live. On a global basis, agreed. In southern California? $2500 cameras are a dime a dozen. I am not a pro, nor an MF enthusiast, but I have always felt that this camera and its lenses were priced higher than they should be. I feel the same about this plan. If the product prices (as well as this plan's) were lower at least a third (or even more), I think that there would be a wider market. Their competition is Phase One and Hasselblad with well heeled hobbyists adding healthy volume. Lowering the price is not a panacea for profitability despite what many think. It`s already lower for third or even more! 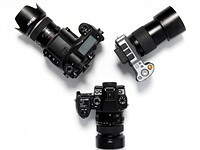 Check out Leica S2, Phase one and Hasselblad. I understand... I compared the prices. I also read that the initial price of 645z when it was announced, was 17% lower than what 645d's was at its announcement. I was thinking on the lines of how to get many FF enthusiasts into their fence as opposed to comparison with other, and more expensive, MF brands. The volumes are huge with the models such as D810, 5D III, etc. Under twice that price would be a good opening for many of those owners. The volume needs to increase even if it means low margin. May be, Ricoh can introduce two versions of 645z successor... one low cost for beginners and another upscale that competes with the more expensive ones. Just like entry-level FF DSLRs. It could have lower resolution but not older technology. Volumes are huge for DSLRs because a lot of people are familiar with them and they fill the camera requirement. MF is a unicorn for most and would completely mystify the average user. Don't forget that DSLR users overwhelmingly shoot JPG and seem to shoot using the LV on the back of the camera simply because they never used eye level finders. In addition they buy bundles with kit lenses and never buy another lens. There would be endless howls about size, absence of video features, absence of novelty filters, no FB upload button etc. It would be like trying to sell a one ton truck to some urban cowboy who wants to strut downtown rather than haul a load of lumber. This camera is mainly for pros, not for enthousiasts. Of course Nikon, Canon or Hassy woul sell more of their D4, 1D, etc if they were half the prize, but that is not their market and they are not going to lower the price of those cameras (significantly). None of them make sense for enthousiasts, and is also normal enthouiasts don't really understand those cameras. Actually the demand curve for DSLRs is not any sort of straight line. It is a common error to say "If they lowered the price, they would sell a lot more." At some point a price drop will not sell more units simply because there are just not enough people who want a specialized product. The other consideration is that with a lower price you have a lower profit which then needs a much larger increase in demand than what often materializes. Lastly, if we follow this logic to its conclusion, EVERYTHING should be really cheap and we would all be rich. Fantastic news. Sign me up for the gold! 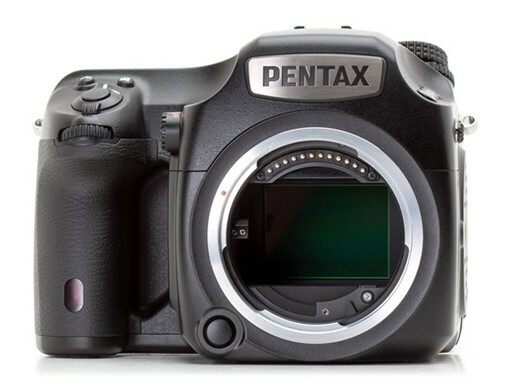 I bet the average Joe will be VERY impressed by the imposing Pentax 645z. Seems they mean business. Well MF market needs some competition. This is a very good and well timed move for Pentax. I would assume that when the new full frame body is released this program will expand to incorporate the new body. Without this type of service, the company can't possibly be considered to have a pro level product line. "Without this type of service, the company can't possibly be considered to have a pro level product line." So true. And that is why Nikon and Canon are the choice of professionals, not only because they've got the biggest camera systems. Considering the cost of the system, this quality of service should be included in the current price. (being silly) I'm outraged! I paid over eight thousand dollars for this camera, and I can't take photos with it, because it doesn't have a lens! Expedited priority repairs - by who? I wish - elves are the best at repairs. Sadly, they're very rare in the U.S., so Pentax uses a contractor staffed by not-so-clever humans. I'm hoping this deluxe service program includes repairs by genuine Pentax elves. My greatest camera (system) goal ever! One day; i will have the latest version of Pentax 645, put it in the middle of somewhere, and built a studio around it. It will be the central element. The thing, that people come and sit front of it. Many pro camera users will use black velcro or electricians tape over the name badge of the camera. It saves time wasted on small talk about the camera when they could be shooting. Why not think big? Do that with PaseOne! For the average Joe, doesn't make much sense. For the average business man using the 645z, this will probably be imperative. For the average Joe, the 645Z doesn't make much sense. @JT: I can confirm that for you. have a strong foothold on the Professional Market, because of their service provided for them. Perhaps this will service will permeate down to their wonderful K3 or K3ii. Then, we just might see Pentax used by more pros. Pattymeboy, I think they'll bring this plan out next on the Full Frame 35mm camera. Then they may extend it down to some APS-C models. This way they'll have two Pro systems pretty soon (and neither Canon nor Nikon has a Pro MF system (or anything MF, for that matter!)). DStudio, You are right. Yes, of course, the full frame unit. Canon has bodies with 50mp now, Nikon is close and both are more of a complete system than the 645z. They are also more usable over more situations. A FF Pentax body gets a sensor that is not that much different in size from the current 645d/z size and is probably more a response to all the current Pentax users who want one than getting market share. Face it, the Pentax lens line up for such a body is pretty minuscule compared to Canon/Nikon. harveysteeves, you obviously aren't familiar with Pentax lens mounts. Maybe a little more research would do you good. Also, I'm sure you realize the size of the sensor is as important as the number of pixels (if not more so), yet you seem to ignore this fact in your statement. While Canon and Nikon ~50mp 35mm sensors are useful, they're still not the same as the MF sensors on a Pentax/Phase One/Hasselblad (or any other) system. Dstudio: actually, I am very familiar with the Pentax mount. In the past, I have built collections around the LX, the PZ-1, and now the K5iis. I also own a pair of 645zs. I also own the Nikon D810, the 800e and llthe D3x and Df. I own glass. Rather than talk about the cameras, I own them. The 810 is a much more versatile camera than the 645z. Resolution is close - it is even closer to my old 645d. Nikon/Canon has tilt shifts, super telephotos, fast primes in their current catalogue not left over from film days. The only current place where Pentax has it better is small DX primes. Harveysteeves, "miniscule" is an interesting description for a couple of good-sized lens collections. And there's a significant difference in sensor sizes. Perhaps if you'd refrained from hyperbole it would've helped you sound more knowledgeable. But then I guess you couldn't have made your point. I'm not aware of ANY ILC system with a lens collection as comprehensive as Canon and Nikon. It's rather unfair to expect a MF system to match it. But Canon and Nikon DO depend on many pre-digital lenses. Pentax has an impressive collection for the size of their company. The main difference is that Canon and Nikon haven't removed these pre-digital designs from their current catalog. 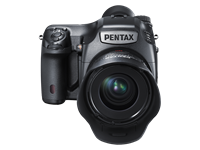 There's no telling how Pentax's current catalog will look after they release a Full Frame DSLR. So let's wait before we make judgments about it.